This has been a very Jewish week in baking for the Bread Maiden. Now, the Bread Maiden may not be Jewish, but she does enjoy the occasional matzoh, either plain or with peanut butter. And who can resist challah? On Monday I made challah and Mr. 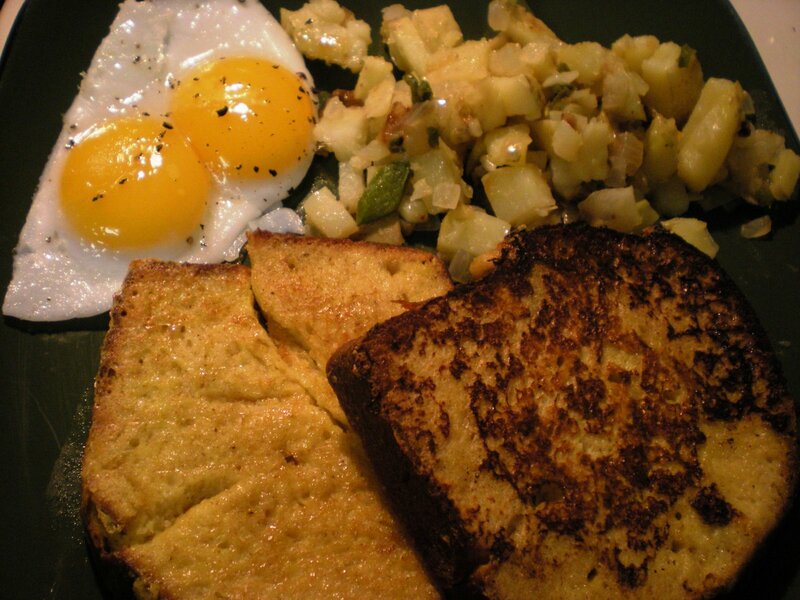 Bread Maiden and I made the Most Decadent French Toast Ever. One of these days I will post about it. Most weekdays are so busy that the only time Bread Maiden can bake is on weekends. She starts daydreaming about baking around wednesday. By thursday it gets really bad. Finally on Friday she can’t take it anymore and as soon as she gets off work she has to come home and whip something up. Anything. 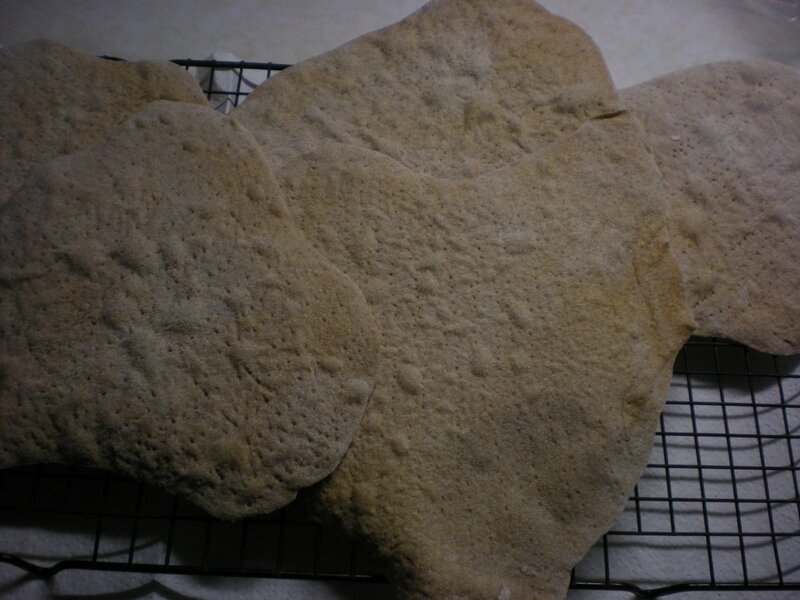 So when I was bored yesterday and needed a quick project, I decided to make Peter Reinhart’s whole wheat matzoh. It’s so easy everyone. Seriously. It’s like making pie dough without the frustration of mixing in the fat and such. 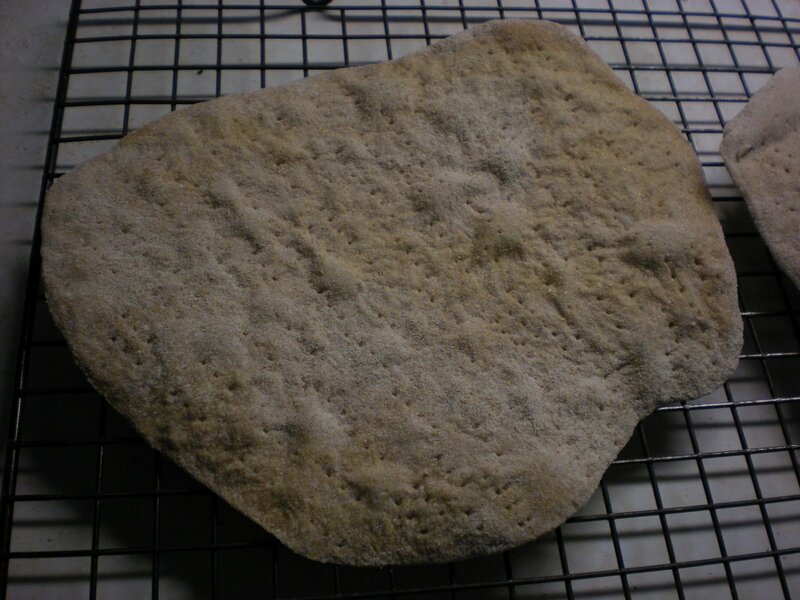 It’s just a simple dough with flour, water, and salt. The only tricky part is rolling out the dough into really thin shapes. But we will get to that later. Preheat the oven to 350F with a clean pizza stone. ha ha! that’s it! isn’t it wonderful? You will need much more flour when you have to roll the dough out though, especially if you have a wonky plastic rolling pin like I do, which is a snap to clean but flour doesn’t stick to it at all. 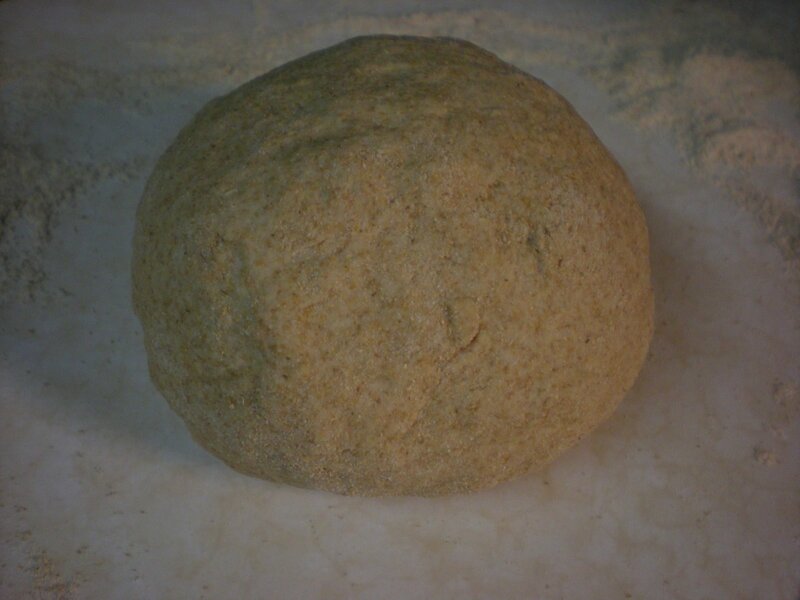 Mix the dough up in a ball, doing some kneading to build up the gluten. This is important. Don’t take too much time doing this though, because technically you have only 18 minutes from the time the dough is mixed together to when it has to be baked. Now divide the dough into eight equal-sized pieces. Coat your rolling pin, the counter, your hands, and everything else with flour. 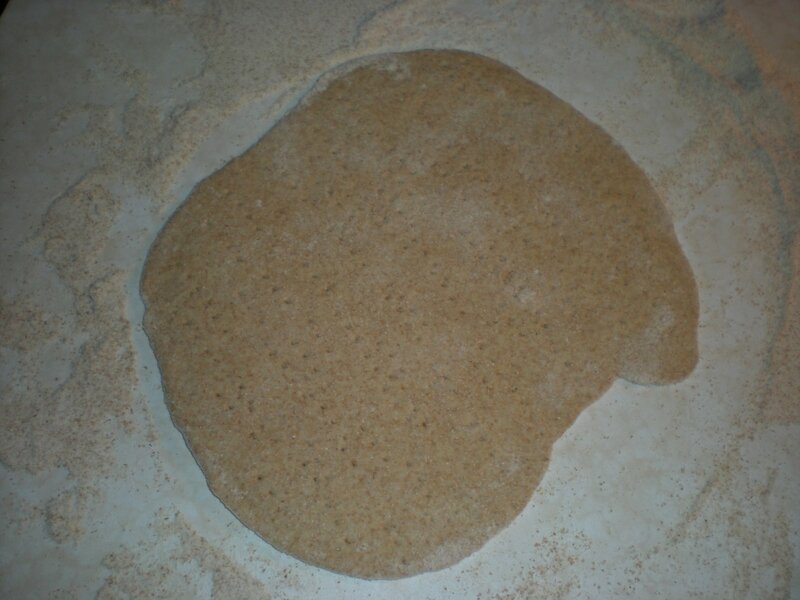 Take one of your pieces and roll it as thin as you can possibly manage, flipping the dough every so often and re-coating with flour so it doesn’t stick to the counter. Reinhart says to use as little flour as possible, but this proved impossible, so I used a lot of flour. I don’t think it matters. 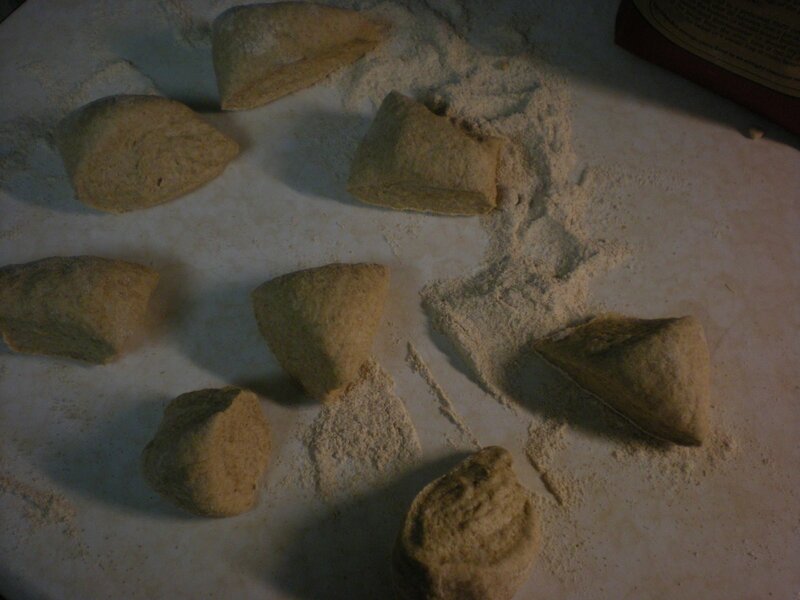 Once the dough is all rolled out, take a fork and poke tons of holes in the dough. This will keep it from puffing up. Open the oven and sprinkle a bit of white rice flour directly on the pizza stone. Close the oven again. Now using the rolling pin or a pastry scraper or spatula, transfer the dough either to the oven (if it’s preheated already) or to a baking sheet with a little flour on it. Once the oven is ready, slide your first matzoh (or maybe first two, if there’s room) directly onto the stone. Bake for about 10-16 minutes until CRISPY and hard. Then remove from the oven to a rack to cool. These are so delicious, especially once they’ve had a chance to cool and condense. 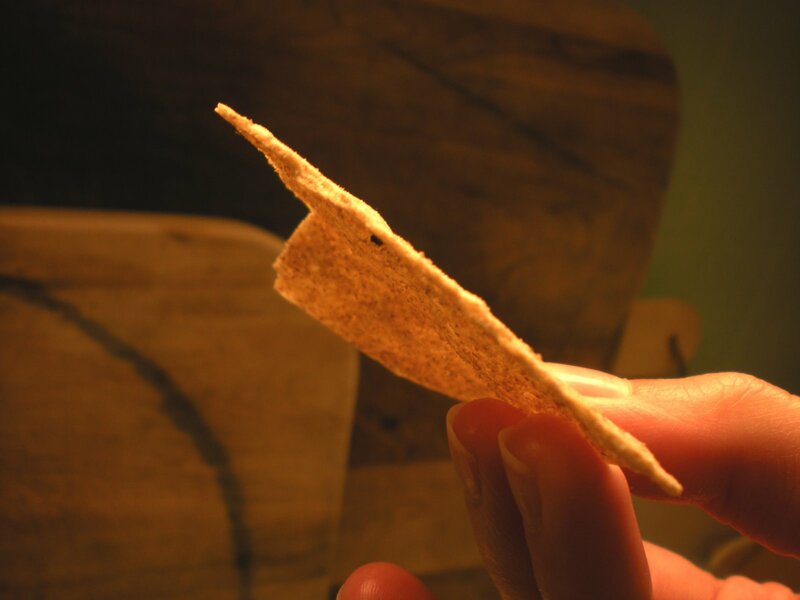 They become even thinner than when you first took them out. They are great with everything because the taste is so mild. I decided to break them up and make crackers. Now you need to make these! Go now! 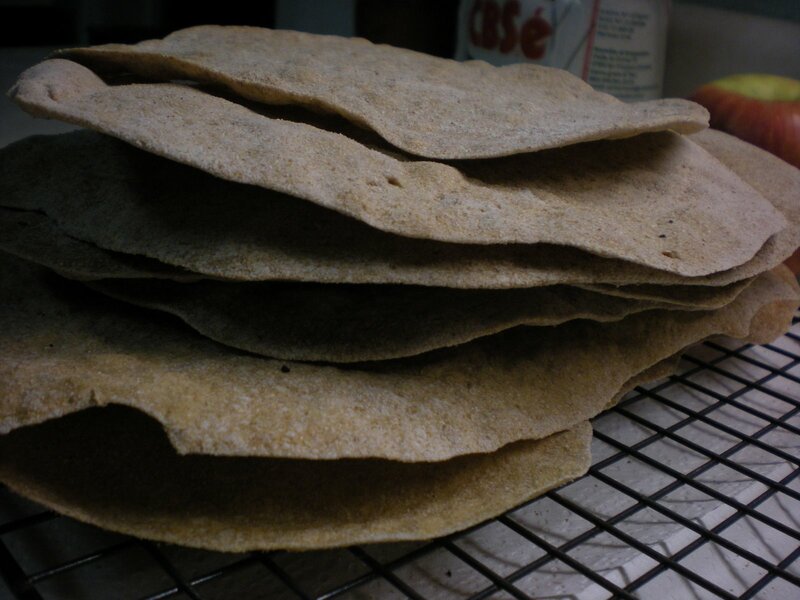 I wonder if you can’t roll the dough between layers of parchment in order to cut down on the amount of flour necessary to achieve your thin layers….. I do that with some cookie doughs.